The Carmichael Centre is the first and largest shared services centre for the community and voluntary sector in Ireland. 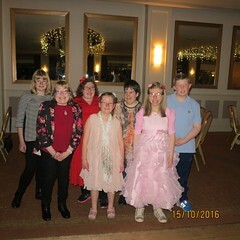 PWSAI accesses office space and a range of organisational supports through the Carmichael Centre. The Genetic and Rare Disorders Organisation (GRDO) is an Irish nongovernmental organisation that acts as a national alliance for voluntary groups representing the views and concerns of people affected by or at risk of developing genetic or other rare disorders. The Wheel is a support and representative body connecting community and voluntary organisations and charities across Ireland. Established in 1999, The Wheel acts as both a resource centre and forum for the community and voluntary sector. 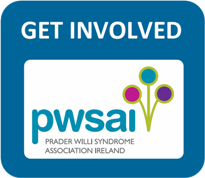 IPWSO’s mission is to raise the quality of life for all people with Prader-Willi Syndrome and their families. 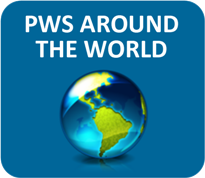 It was founded in 1991 and initially represented 22 national PWS organisations. It now represents 100 national PWS organisations and seeks both to foster the development of new national associations and to support those already in existence. IPPOSI is a partnership of Patient Groups/Charities, Science and Industry on the island of Ireland. As a patient led partnership, the platform provides a structured way of facilitating interaction between patients’ organisations, scientists and industry (and where possible with State Agencies) on policy, legislation and regulation around the development of new medicines, products, devices and diagnostics for unmet medical needs in Ireland.